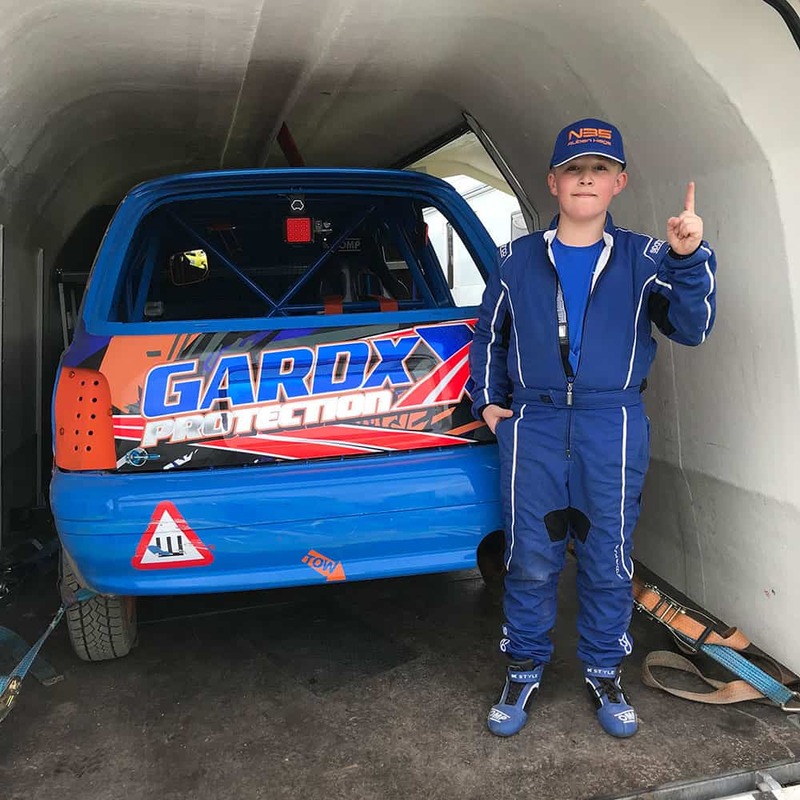 Ruben Hage’s first race win has been on the cards for the past 8 months since making the switch from Karting to Autograss racing when he turned 12. 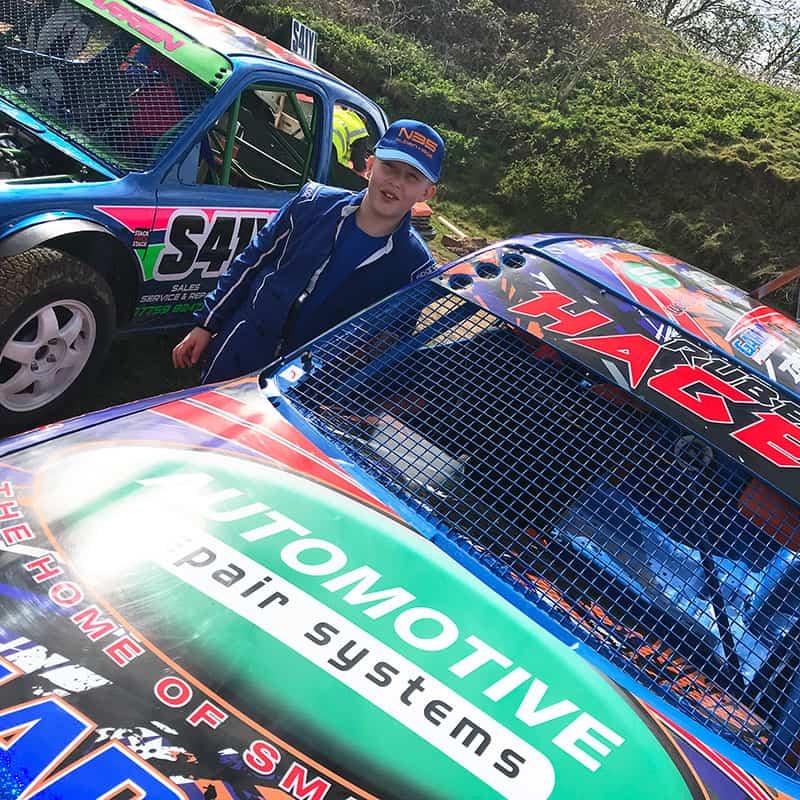 With multiple podiums and 2nd place finishes, often losing out by just a bonnet length – the motivation of this Junior Saloon driver to get across the line first has been ever growing. 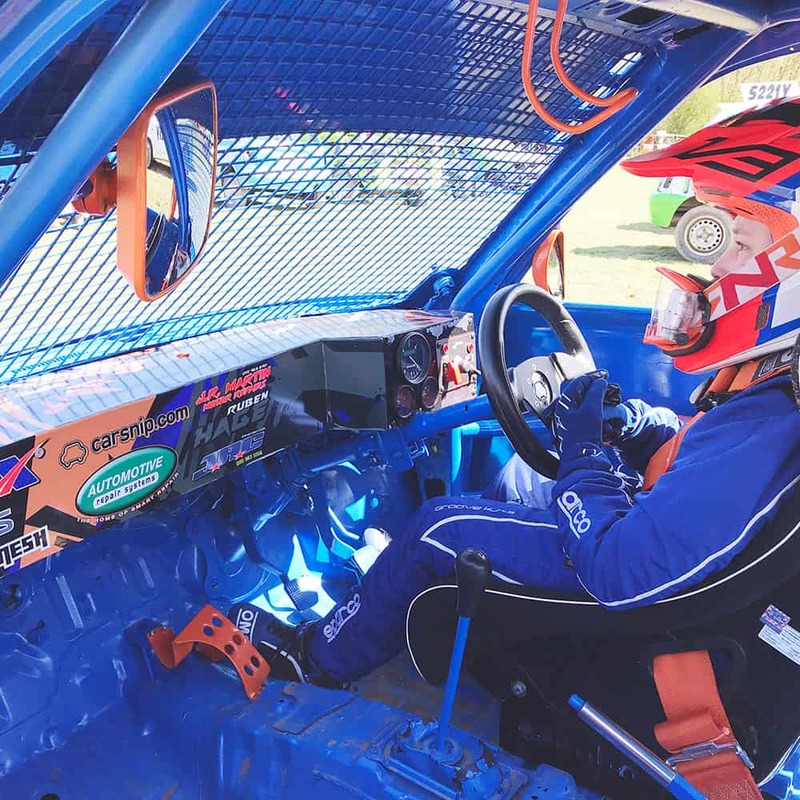 His focus and determination paid off on Sunday at Scarborough Autograss Club’s meeting, taking a hard-fought win in the Champion-of-Champions race. Following the last-minute cancellation of his home club’s meeting in Nottingham due to a waterlogged track, the decision to travel to the East Coast track meant Ruben had done no pre-event preparation for a venue he’d never raced at before. Despite that, he immediately found the pace in Race 1, bringing home is Nissan Micra Junior Saloon in 3rd place. Race 2 also witnessed Ruben drive well, fighting back from 6th place after taking some significant panel damage from fellow racers to finish 3rd again. The ‘A’ Final for the top 8 Junior Saloons was another fraught race which resulted in one competitor rolling mid-race. A re-run was declared, of which he Ruben made the most of the restart and quickly moved into 2nd place on the first lap – which he comfortably held until the finish. 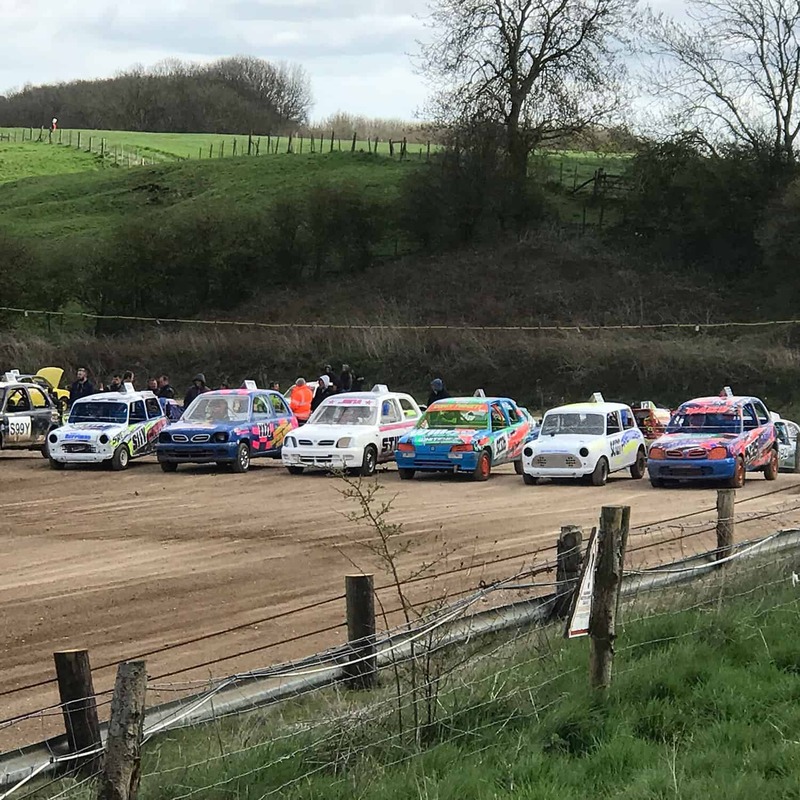 To conclude the race meeting, the top 3 Junior Saloon and top 4 Junior Special drivers were pitted together for a Junior ‘Champion of Champions’ race. Junior Specials are 1.2 Ltr Vauxhall powered buggies with more power than the 1.0Ltr Saloons, so a 10m staggered start was the determined leveller. Within the first lap the Specials were already cutting through the Saloons, but thankfully Ruben had made an excellent start himself by taking the early lead. Attacking for the first 2 laps, Ruben began to pull out a small margin on his Saloon rivals, but as the Specials pushed forward into 2nd and 3rd he had to resort to a defensive line for the remaining 4 laps as he came under attack from all angles. Unfazed by the pressure building behind him, Ruben controlled the race with maturety to take his first outright win in his Autograss career! So, a fantastic impromptu days racing at a track Ruben’s hasn’t raced at before brought home 4 podium finishes from 4 races, making it 6 podiums out of 6 races this season. Such consistent form bodes well for his UK Autograss Champion campaign that starts on the 26th/27th May in Hereford.